Cover all addresses and postcodes within your area. What Can the Bathroom Fitters Offer You? Adding custom decorations and re-painting your bathroom. 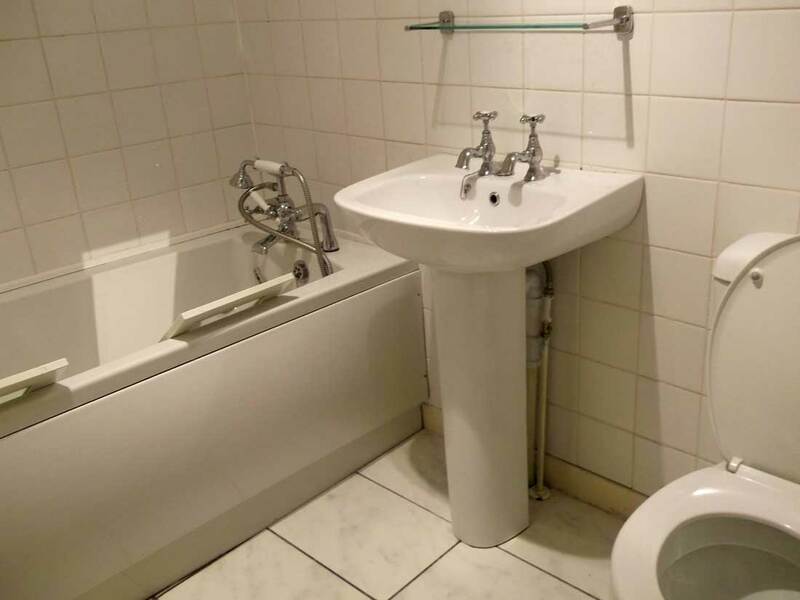 Shower trays and shower screens; Toilet pans and cisterns; Basins and vanity units; Bathtubs and toilet bowls; Lights, spotlights, and extractor fans; Taps, toilet holders, mirrors & more. My bathroom looks great and it didn't cost a pretty penny! My neighbours used your bathroom fitting services and a few months later we needed the same service. So, we went straight to you without further thoughts and the results were simply fantastic - polite and friendly representatives, professional and experienced bathroom fitters.. what else can you wish for? Protective clothing, gloves, masks, and goggles. You can reduce your bathroom fitting cost even further by letting us order tiles, flooring, and everything else from a well-established brand at up to a 20% discount! But we would be also more than glad if you decide to choose the bathroom furniture and accessories on your own. Hire Your Trusty Bathroom Fitter Now! Estate agencies who are looking to sell or rent a property. We can even cover a wide range of commercial properties, such as office buildings, hotels, community or leisure centres, and much more! And all you need to do to book a shower fitting session is to contact any of our sales representatives and tell them everything about your planned renovation. We'll send a surveyor right away to inspect your premises. We'll also come up with a preliminary quote, depending on you information and photos. Pick up your phone now to dial 020 3746 5384, send a request via the contact form, or use our real-time chat and we'll help you make all the necessary arrangements!